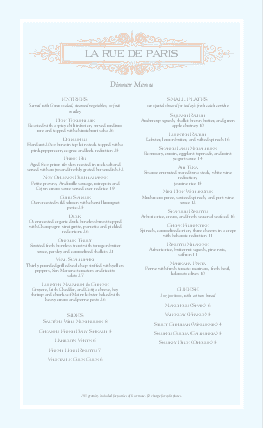 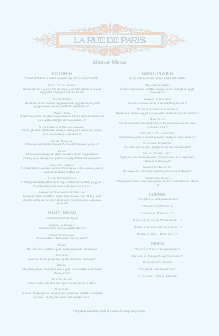 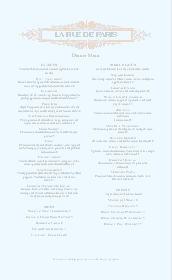 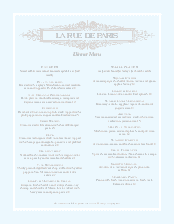 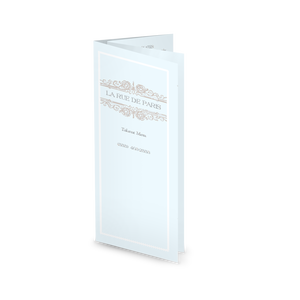 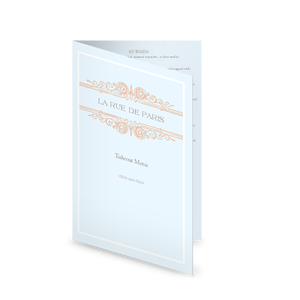 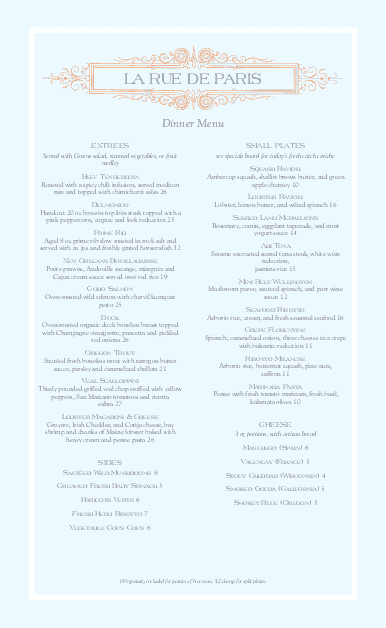 A light blue design with rust-colored flourishes and a two column layout give this legal-size (8.5 x 14) french style menu a classic, elegant feel. 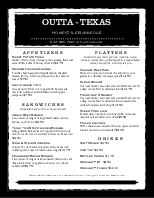 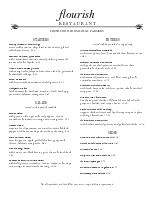 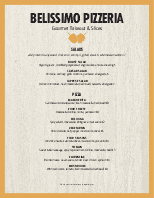 There is plenty of space for the restaurant name, and menu items are displayed in centered text below. 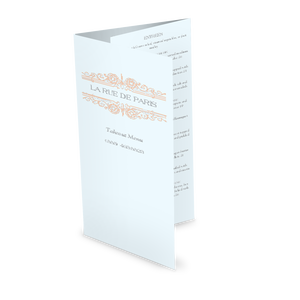 This french restaurant menu can be updated online using the Menu Editor.